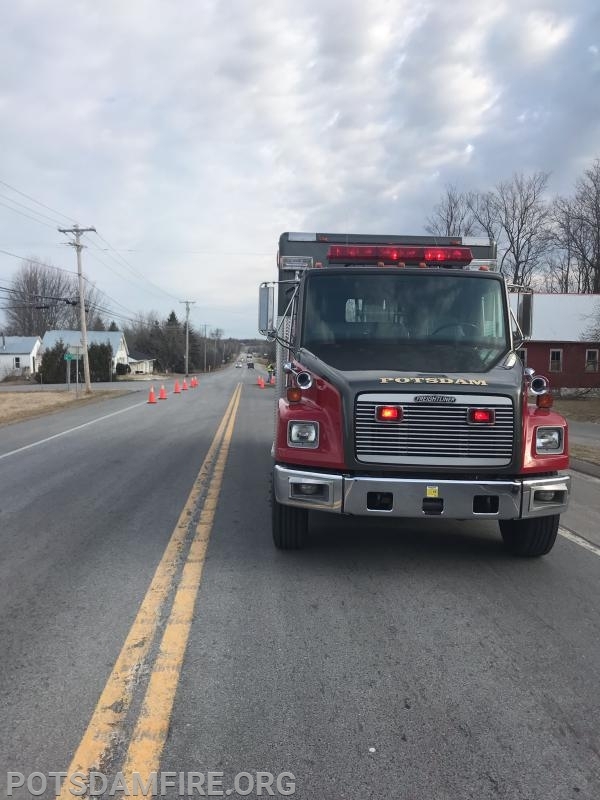 On April 3rd 2019, at 0742 hours, Potsdam Fire was requested to provided traffic control to assist law enforcement for a property damage accident with a car still in the road at 6966 State Highway 56. Rescue 14 (Maroney) was out of service with a crew shortly after alarm time. 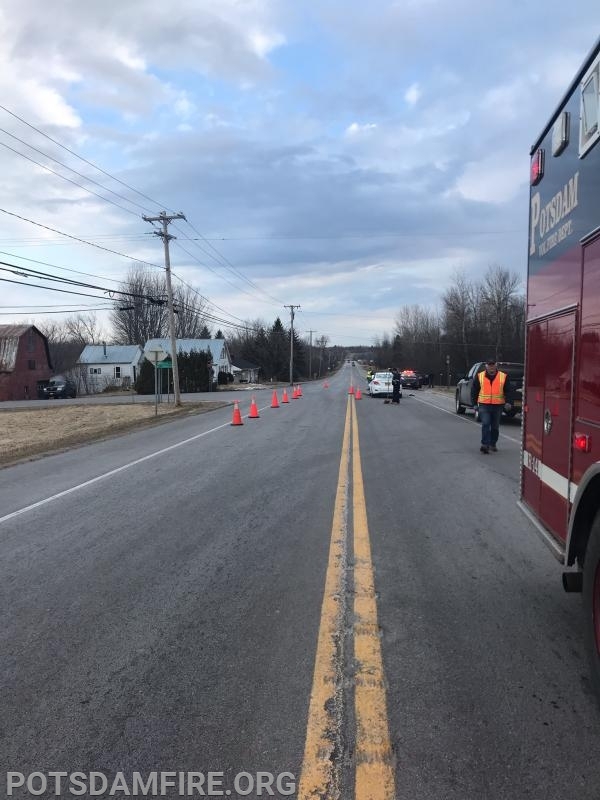 Potsdam Fire arrived on scene at 0751 hours and set up cones to maintain two way traffic around the accident scene. 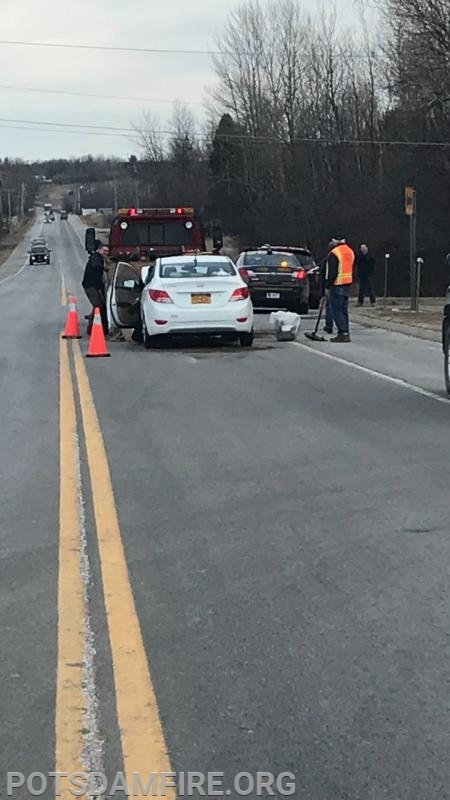 The New York State Police handled the accident investigation. 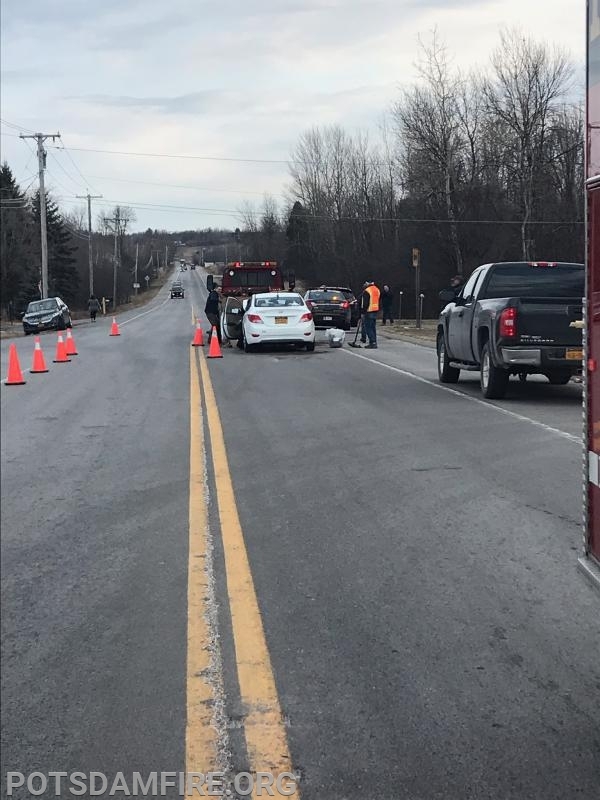 The vehicles were removed by North Country Oil Change removed the vehicle from the scene. You are Visitor #189 Today!